While certain hosting packages provide ample resources for startup sites, it is easy to grow out of a plan. Most web developers like yourself typically launch their sites using shared hosting. A shared hosting plan is great for launching websites because it is one of the least expensive options. 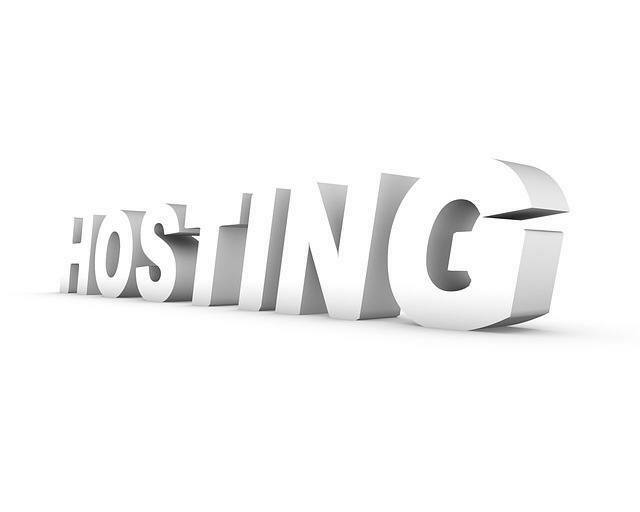 There is a lot of things to consider when choosing a web host. It’s common that you might have make a choice based on your budget at the time. However, once more visitors begin pouring in, shared hosting does not always meet your website’s needs. Read on to discover the telling signs that you should upgrade your hosting package. If your site experiences a sudden spike in traffic, you need to upgrade your hosting package. Sites that run on shared hosting providers function on a server alongside other sites. Therefore, when websites begin gaining visitor activity, the available amount of resources is not enough. As a result, sites begin running poorly. When developers wait until their sites begin functioning poorly, they put themselves at risk of losing the audience members they newly gained. To ensure that you continue growing your online presence, transition to another type of hosting. Depending on your website CMS, consider a WordPress hosting plan that can scale with your traffic based on the number of visitors. Or, opt for a cloud hosting package. Traffic spikes are a sure sign that you should upgrade your hosting package. View an increase in downtime as another sign that you should upgrade your hosting package. Similar to how sudden spikes in traffic result in audience losses, sites that undergo a lot of downtime also lose followers. More so, you lose potential new audience members when you do not have a high amount of uptime. If a consumer tries to visit your site for the first time and sees that it is down, they will move onto another site and likely refrain from visiting your site again. To maintain a quality site with a large following count, upgrade your plan to one that offers 99.9% uptime. When you start receiving notifications that your site is low on storage space, it is time to upgrade your hosting plan. Many hosting plans limit developers to the amount of content they can publish on their sites. If you attempt to send out a new post onto your site and get a message stating that your site is full, you fail to offer consumers new content. When consumers visit a site multiple times in one week and notice no new content, they will move onto websites that provide new information frequently. Therefore, a site with little storage capacity will fall behind its competitors. Ensure that this does not happen to your site. Recognize low storage as a sign that you should upgrade your hosting package. Another sign that you should upgrade your hosting plan is slow site speeds. Consumers grow frustrated with sites that cannot keep up with their desired navigation speeds. Thus, they usually use sites with fast access speeds. More so, search engines also favor faster sites. Google, for example, rates fast sites higher in SERP than slow sites. If you want to improve your SEO, you need to increase your access speeds. This can have a major impact on business. To achieve this goal, upgrade to a hosting package that guarantees efficient page-to-page transfers. Additionally, poor security is a sign that you should upgrade your hosting package. As a developer, you are aware of the countless cyberattacks made on websites. If a hacker gets into a site and obtains sensitive customer information, that site’s reputability decreases. Moreover, the site’s owners lose customers due to unreliability. Sites that acquire valuable information from visitors need top-notch security protocols. If you currently develop websites through a web hosting provider that does not constantly monitor sites, upgrade to a better hosting package. Many developers fail to acknowledge the signs that they should upgrade their hosting packages. Such developers end up decreasing their site’s ratings. To ensure that you build your web presence rather than diminish it, upgrade as soon as you notice sudden traffic spikes. An increase in downtime is also a sign that an upgrade is necessary. When developers receive low storage space notifications while uploading new content, they need to transfer to a more resourceful package. Slow site speeds indicate that it is time for a hosting plan upgrade as well. Finally, poor security protocols should not be taken lightly. These are the top signs that you should upgrade your hosting package.